ePublishing Knowledge BaseePublishing Knowledge BaseePublishing Knowledge Base PollsHow do I create a poll? 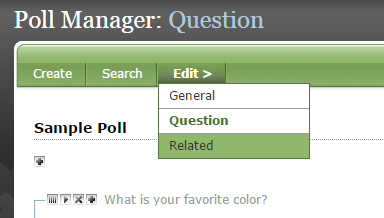 The Poll Manager allows you to create polls to be used in articles, blogs and sitewide. Presenting a Poll is an optional feature and must be included in your website design. To add a Poll to your site, please contact your Solutions Manager. 1. Under Editorial in your dashboard, click Create next to Poll. Search for existing polls by clicking Search & Edit or Edit by ID. 2. 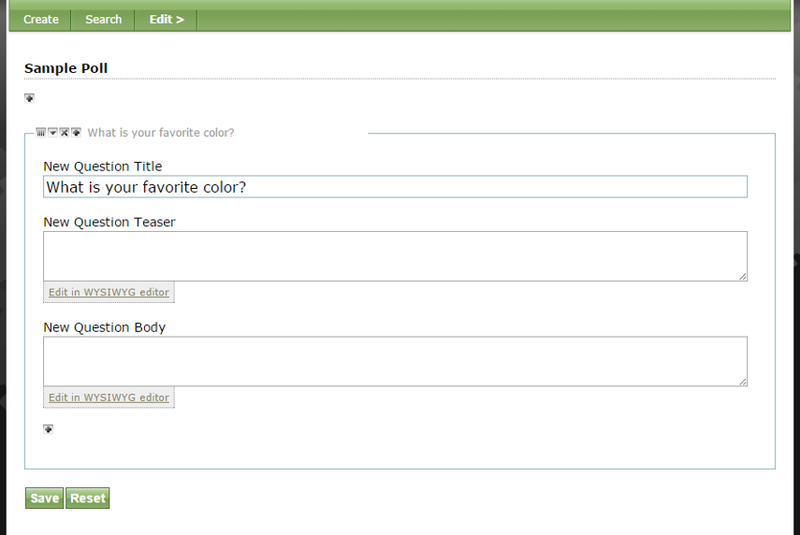 Name your poll, add a teaser if desired, and assign Site Placement and Topic/Category taxonomy. 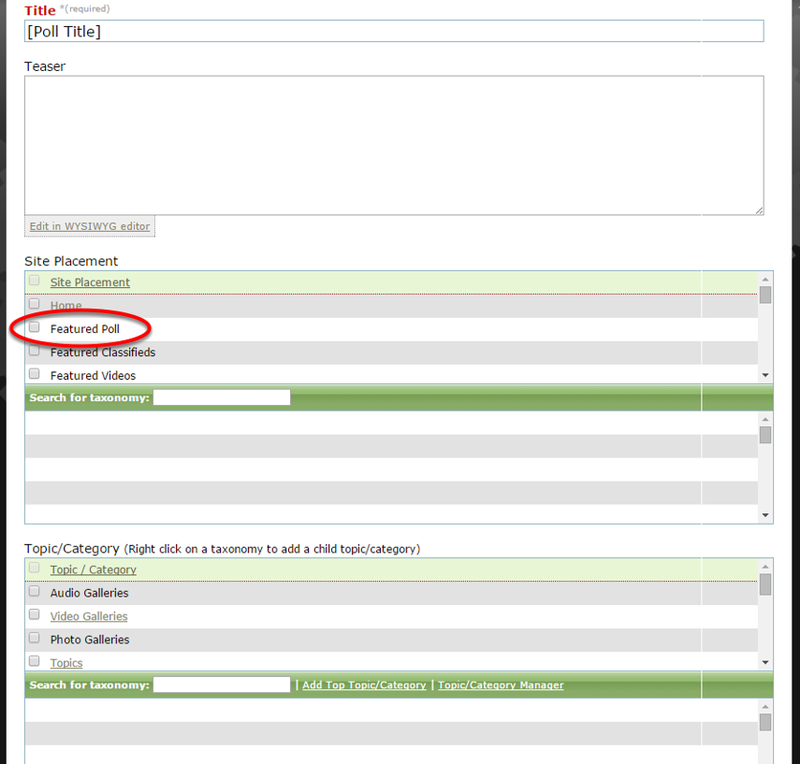 Zoom: Name your poll, add a teaser if desired, and assign Site Placement and Topic/Category taxonomy. Taxonomy is specific to each website. Contact your solutions manager if you have questions. In many cases, Featured Poll (circled above) should be selected if you'd like this poll to be featured on your website. 3. 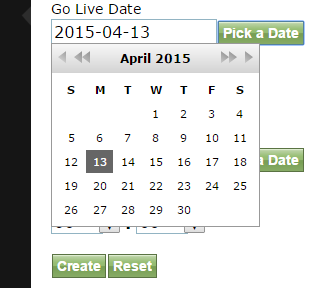 Select a Go Live Date by clicking on the green Pick a Date button. 4. 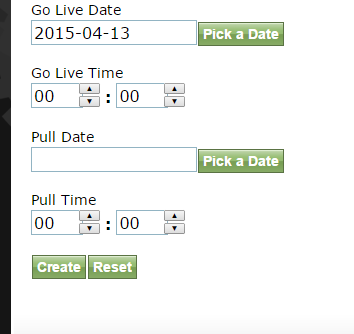 Select a Go Live Time. If desired, select a date and time you'd like to pull this poll from your website. 5. After selecting Create, you can add a question to your poll. Zoom: After selecting Create, you can add a question to your poll. A yellow box will appear if you have saved your poll successfully. 6. Under Edit, select Question. Zoom: Under Edit, select Question. 7. To add a question, click on the plus sign. 8. Type your Question in "New Question Title." 9. Add a teaser or body to explain or add detail to the question, if desired. 10. Add answer choices for your poll by clicking the "+" icon (circled) under the Body. 11. Type your first answer choice in the box. 12. After each choice, click the "+" icon again (circled) to add another. 13. When you are finished with your first question, click Save or add another question by clicking the "+" icon at the top of the page. 14. Use the icons next to the top of the question to reorder, minimize, delete or add questions. 15. Use the icons next to the top of each answer to reorder, delete or add answers. Reorder answers by clicking and dragging on this icon. Click the "x" to remove the answer. Click the "+" to add an answer. 16. If applicable, associate Related content with your poll by selecting Related under Edit. 17. 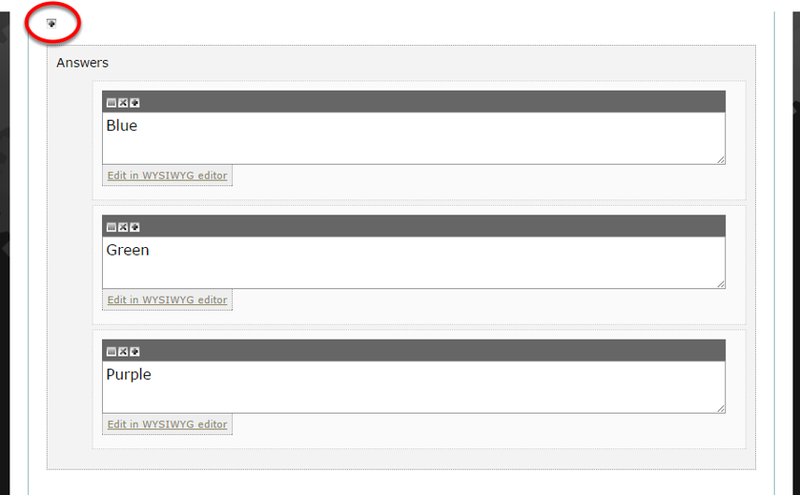 When you are ready to publish your poll, select General under Edit, and click the green Publish button. 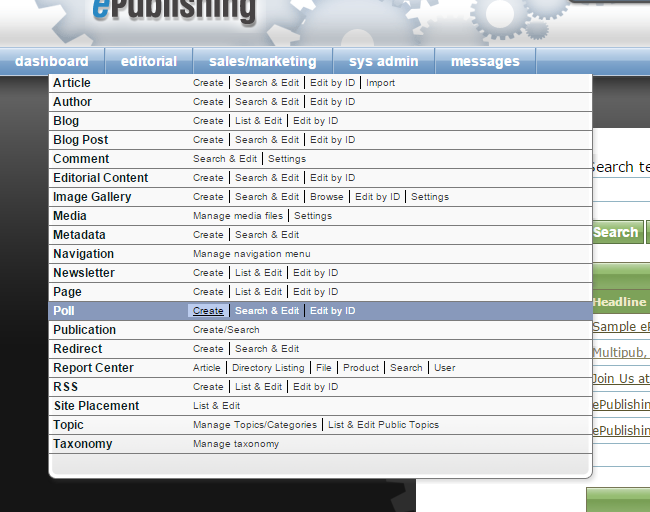 Zoom: When you are ready to publish your poll, select General under Edit, and click the green Publish button. Prev: How do I remove sidebars or unrelated content on an event page? Next: How do I search for a poll?